We have been in the indigenous snacks and shot eats industry for the past 15 years.Upperees Kerala established in the year 2011 and registered under MSME. Upperees Kerala is one of the growing business concern deals with manufacturing, marketing and exporting of all kinds tasty fried chips, our products are marketed in Qatar. 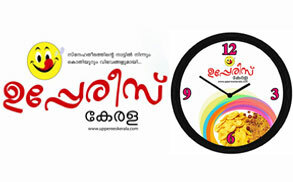 Upperees Kerala, we have earned the trust of thousands of regular and loyal customers. "The main objective of Upperees Kerala is to export all kinds of chips Provide hygenic fried foods". This new range of the best of food products is fast becoming a big sensation among the people who savour taste and health above everything else. Being a group committed to quality and excellence in all endeavours, we have a vision to uphold the name of our firm in the most sparkling way possible. Our mission is that we strive constantly to improvise and improve on all our business attempts. Upperees Kerala is a partnership based concern located in Thalikulam near the famous Snehatheeram beach. we have earned the trust of thousands of regular and loyal customers. "The main objective of Upperees Kerala is to export all kinds of chips provide hygenic fried foods". Upperees Kerala is one of the growing business concern deals with manufacturing, marketing and exporting of all kinds tasty fried chips.